Whether you're buying a new home or just looking for new ways to protect your current property, you have the option of purchasing a home warranty. Some people are confused by this service, as they think it is similar to homeowners' insurance, but a home warranty actually covers different assets in your home. Once you've decided that you'd like to protect your major systems and appliances with a home warranty, the next step is choosing a provider and coverage plan that work for you. This can be a confusing process, as there are many options to pick from. Simplify your choice by using these four steps to guide your decision. The first thing you need to do before you start searching for a home warranty is figure out what you'd like to get from the service. Think about what major appliances and systems in your home need extra protection, and this will form the basis of your wishlist. Did you just buy a new washer and dryer? Then you probably want a warranty that will cover mechanical problems for these pricey items. Does your fridge get a lot of use? Cover that too! Did you drop serious dollars on a state-of-the-art HVAC system? That's definitely a system that needs an added level of protection. A fancy home heating system could likely use extra coverage. 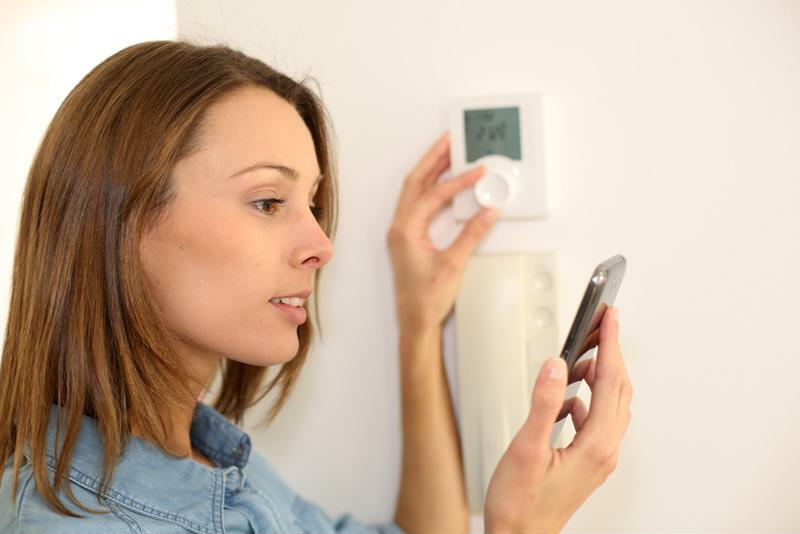 Go through your house room by room and figure out which appliances and systems you simply need to have covered and ones you could live without coverage on. This wishlist will be crucial in finding the right coverage plan for your family. "Calculate how much you can spend on a warranty per month." The second important consideration you need to take into account is how much you can spend on a home warranty. When you're determining your budget, figure out how much money you can logically allocate toward a home warranty each month. You can then compare your ideal costs to those of various providers. When considering your budget, it's important not to cut out home maintenance costs or emergency funds to make room for a home warranty. Even with this service in place, you'll still need to conduct regular home maintenance tasks, like flushing your water heater, changing filters on the furnace and having your HVAC system inspected. This means that you'll still need to be putting money toward home maintenance each month, so you'll want to factor these costs into your bottom line. Armed with your coverage wishlist and budget, you're now ready to look into home warranty providers like TotalProtect®. Head to the Internet and find out which companies offer coverage in your area. You'll likely be able to find sample contracts online, so review these documents and see if the eligible items match up with those on your wishlist. TotalProtect makes this step easy for you with our virtual coverage tour. This interactive diagram lets you go through the house room by room and see what appliances and systems can be included in your home warranty. It may also be beneficial to check reviews of different companies through sites like ConsumerAffairs. This will give you an accurate picture of the service, coverage and value each provider offers. Create a list of perks and downfalls to help guide your decision. Create a list of perks and downfalls to help guide your decision. When you've narrowed your search down to a few viable options, you may benefit from creating a pros and cons list. Take issues like deductibles, extra fees, coverage exemptions and claim limits into account. If you're considering TotalProtect, be sure to note superior customer service, ease of filing claims and access to the Appliance Buyline® program as positives. If you still have questions about whether a TotalProtect Home Warranty is right for you, call to speak with one of our customer care representatives today. They can help clear up any confusion about coverage or appliance eligibility so you're informed and ready to make a decision that will benefit your family.